Ok…obviously nothing will compare to the great time you’ll have while out with Float On – Lake Austin Boat Rentals & Lake Travis Boat Rentals, but we understand you want to enjoy our wonderful city throughout your entire stay here. 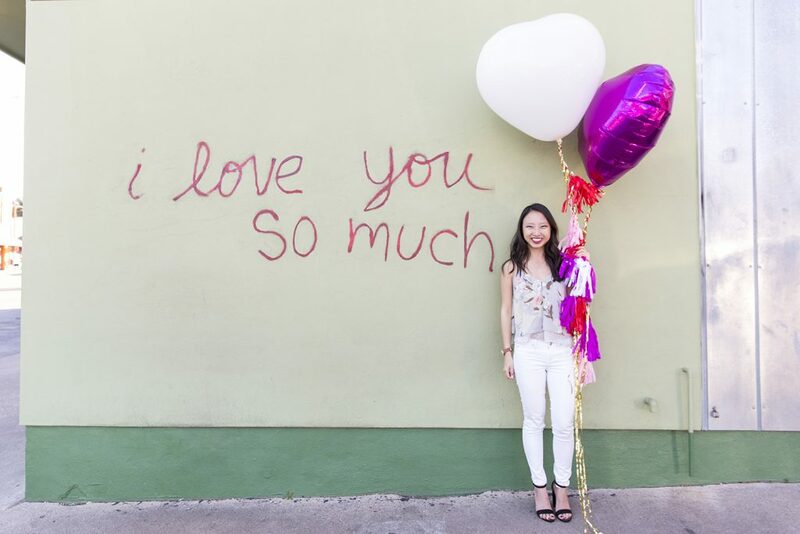 We put together a few Austin Bachelorette Party Ideas from us locals on some cool stuff to do during your Bachelorette Party in Austin. WARNING: none of these will be nearly as fun or memorable as coming out on Float On –Lake Austin Boat Rentals & Lake Travis Boat Rentals with us! Choosing where to stay in Austin shouldn’t be too much of a problem, there are plenty of homes and hotels within 10 miles of the downtown area – which is what we’d aim for. We’d also recommend you checkout AirBnB or HomeAway as they seem to offer some of the best deals in town for large groups. If you’re all about staying in the heart of downtown and want a more upscale feel then you may want to check into Hotel Van Zandt, the Fairmont or the new JW Marriott. Like most major cities nowadays Uber and Lyft are by far the easiest form of transportation around town and it’s almost pointless to rent a car. Avoid taxi companies by all means necessary as there’s not enough of them in town, they’re never nice and often pick and choose who to give rides to based on how far you want to go.If a party bus is more your style and you’ll be riding around with a larger group all weekend then check out our charter woody van – Cruise On Charters! Also we’ve partnered our friends at We Transport Fun – Austin Party Bus rentals to offer more variety of transportation options. There are so many great options for wineries around Austin from Driftwood to Fredericksburg. Many of these places are perfect for taking a picnic lunch, relaxing outside on a beautiful Texas day, playing some yard games like corn hole and of course wine tasting! Most wineries are $5-$10 for wine tasting and/or you can buy a bottle to take home or drink there. A few of our favorite in-town wineries are Fall Creek Vineyards, Wimberly Valley Winery and Duchman Winery. Go on an Austin Winery Party Bus Tour with our friends at We Transport Fun! Before getting out on the lake, we recommend letting our friends at Twisted Texas Tour show your squad around Austin’s best brunch joints on their Brunch Bus. They take you to three amazing brunch places, making this an easy, hassle-free way to pre-game before the lake. Experience Austin like a true local with Tipster walking tours! It’s real simple. Tipster is a local company that leads entertaining walks around Austin everyday. Rain or shine. Hell or high water. Tipster is Austin’s only Tip-Based walking tour business. They offer a Downtown Tour -learn Austin’s History, a Music Tour- learn how Austin coined the name Live Music Capital, an East Side Art Tour – see Austin’s hip east side and learn about our street art, and a Beer tour- cheers, need we say more. They have daily tours or you can book your own group tour, anytime that works for you. 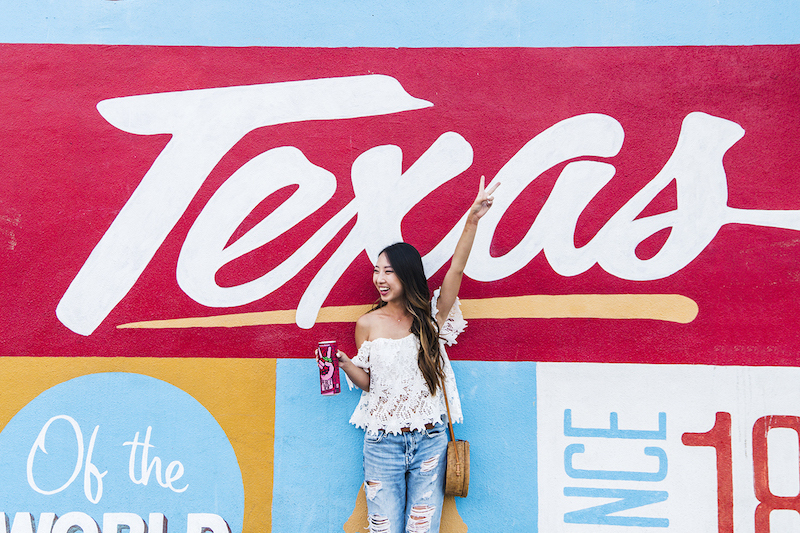 Austin may be known as the live music capital of the world but we’re also home to several iconic murals and street art exhibits. Everyone knows about the popular I Love You So Much wall, You’re My Butter Half mural and the Greetings From Austin mural. 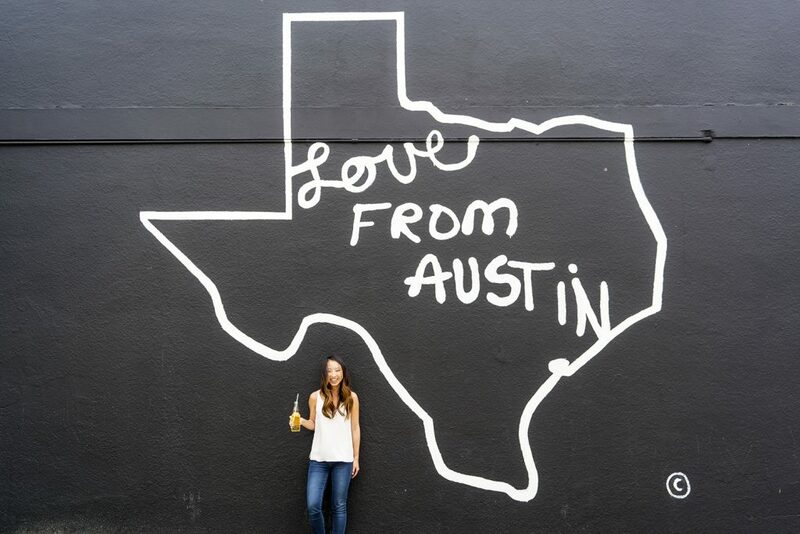 Here’s a handy list thanks to A Taste Of Koko of the 24 Most Instagrammable Murals In Austin. Austin’s craft beer scene has blown up over the last few years and there’s no shortage of breweries to visit around town. Most places offer some sort of discounted ‘taste testing’ program which will quickly get you feeling right. If you’re like us and LOVE beer then there’s no such thing as a bad brewery to visit while in town. Here’s a good list of a few places you can checkout. Our favorites are Adelberts, Austin Beer Works and Hops and Grain! If you would like to make an afternoon out of checking out breweries and go on more of a tour then you can check out our friends at We Transport Fun! Austin is a gastronomical paradise! With some of the nations best ranked restaurants, there is something for everyone. Try Uchi for a unique Japanese experience or Clay Pit for some modern Indian. Tex Mex originals include Trudy’s, Chuy’s and El Arroyo. For nightlife restaurant/bars the downtown area offers fun and social spots. Taco’s and Tequila, Z’Tejas, Gloria’s Latin Cuisine, Péché, Max’s Wine Dive, and Bess Bistro are all walking distance to local nightlife districts which we get into further detail below. 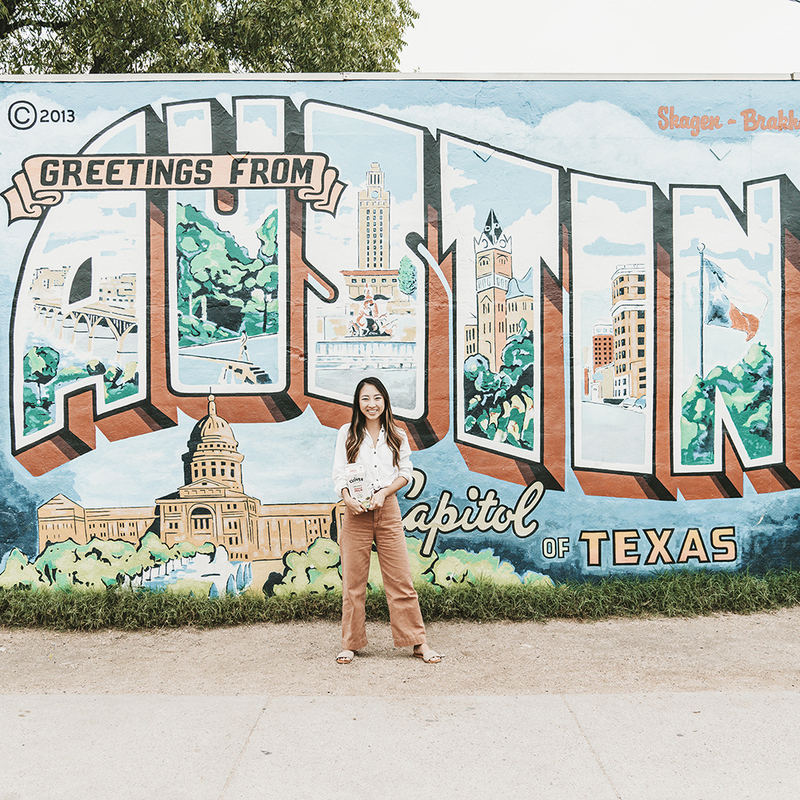 Click here to see Camille Style’s 2019 Guide to Austin’s Best Restaurants for a more detailed breakdown of the best places to eat in town. Bach to Basic is an all inclusive planning service designed to take your bachelor or bachelorette party to the next level. Each bach party is carefully planned out and created specific to your bride or groom and guests. The cost associated covers all aspects of the party that we put together for you – we can plan as much or as little as you like! If you’re looking for swag, Stag & Hen is your our one-stop shop for pretty bachelorette party supplies and inspiration! There are hundreds of bars in a relatively small area of downtown Austin and for this reason we don’t recommend bottle service anywhere as you want to bounce around…here we’ll go into some different downtown areas and how they may differ from each other. Dirty 6th – This is likely the 6th street that you’ve heard of where folks are getting wild and crazy all night long (well the bars do close at 2am). Lined with bars and live music this famous and historic street is great for the younger crowds as it’s filled with the classic Austin weirdness as well as zero cover charges and cheap drinks. If you’re not into getting plastered out in public don’t worry, there’s plenty of people watching to be done here too. West 6th – West Sixth Street is a bit more upscale and you’ll be more likely to find a crowd that’s actually out of college. It’s perfect for afternoon happy hours or having a great time while still being able to hear your friends talk. Make sure to checkout Dogwood or The Ranch…or the cool arcade bar Kung Fu. Though you still won’t come across many cover charges do expect to pay a bit more for drinks than you would on dirty 6th. East 6th – If you’re looking for the lets hang around and have a beer and whiskey scene, you’ll find it on the Eastside of I-35. The ‘eastside’ is full of eclectic crowds and juke boxes mixed with wide open patios. If you’re looking for an ol fashioned honky tonk accompanied with cheap beers and country music, you will love The White Horse, live bands and a full dance floor with diverse crowd dancing up a storm. Or catch a bite of Detroit style pizza from Via 313 as you enjoy a beer from the welcoming patio of the Violet Crown Social Club. Rainey Street – Bungalows and houses have been recently turned into fancy bars and cocktail lounges providing a unique atmosphere. This has slowly turned into one of the most popular areas of downtown despite only being open a short time. If the weather is cooperating at the time of your stay this is the perfect place to day drink and grab a bite to eat as there are plenty of outdoor sitting areas in almost every bar. As we mentioned in the beginning, nothing is as cool as coming out on one of Float On – Lake Austin Boat Rentals & Lake Travis Boat Rentals ski boats or pontoon boats but Austin does have a fair amount of other outdoor activities that are worth a shot too…highlighted by some of our favorite below. Head towards the Hike and Bike trail which circles the river downtown where you can enjoy a nice stroll around the river by foot or bike. Here you can also rent a kayak or stand up paddle board to enjoy the views from the water, be forewarned that you cannot swim in this part of the river for various reasons. If your more into swimming make sure and checkout Barton Springs Pool – a man-made recreational swimming pool located on the grounds of Zilker Park – which is located along the trail itself. It doesn’t get much better than floating lazily along the river with all your closest friends with the sun shining and a cold drink in hand. At Don’s Fish Camp, they’ve been offering just that type of experience to folks all over Central Texas since 1990. Duh, shopping is totally considered an outdoor activity, especially when we have multiple great places where you can accomplish this around town. The Domain is an outdoor mall with so many great restaurants and bars. You will find stores from Burberry to Charming Charlie here. The Domain also has a night life like The Park which has great food, live DJ on Saturday nights, and even a delicious brunch on Sundays. Punchbowl Social is a great place for drinking, bowling, karaoke, darts, ping pong, pool and just having a great time with friends. There is a new area of The Domain opening up soon called Rock Rose. This will be a strip of restaurants and bars. Right now a fun bar called Dogwood is open. Austin also has a unique shopping area called South Congress. Along this street you will find some very Austiny stores. There’s a second popular lake on the outskirts of Austin as well called Lake Travis – you may have heard of “Devils Cove” which is on Lake Travis. This lake is more historically known and significantly larger than Lake Austin and is home to a fleet of much bigger boats which can possibly accommodate your larger parties. If you’re looking to rent a boat on Lake Travis check out Float On – Lake Travis boat rentals!